There was an article in the Guardian on Friday about Nasako Besingi. I didn't know you knew him. "Nasako Besingi has been leading his community in the protests against the development of palm oil plantations by the American agribusiness company Herakles Farm." It seems pressure has to be put on the US company, Herakles Farm, the one implementing 73,000 ha of oil palm plantation. thanks for sending this. I had met Nasako many years ago at the In the Hands of the Fishers workshop in Cameroon. He was one of the few English speakers there, and was very involved with trying to protect the rights of local communities at the time. He was then, as he obviously is now, a very dedicated, uncompromising activist. This Herakles Farms company in the US needs to be spotlighted as the blight on the environment and the bane on human rights it is! 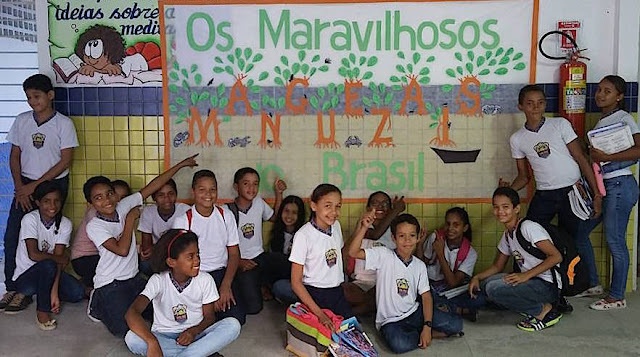 Students from the Escola Varzea Do Una from San Jose Da Coroa Grande, Pernambuco Provice, Brasil, and their marvellous mangroves poster. Mural and photo by Prof. Flaviane Paes. 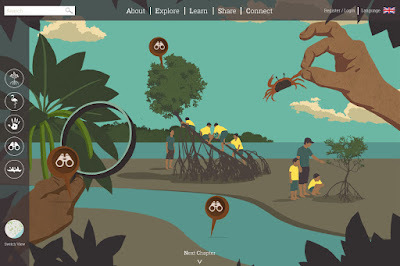 It has been over ten years since work started to translate and adapt Marvellous Mangroves for use in Brazilian schools by MAP’s partners, Instituto BiomaBrasil (IBB). In April, 2006, the process began when IBB’s Clemente Coelho Jnr. and Renato Almeida observed and participated in a MM workshop held in Tilapa on the Northwest coast of Guatemala. Organised in conjunction with the local NGO Amigos Del Bosque and CORALINA - based in San Andres, Colombia, - Tilapa was the launch for teachers of the Guatemala (Spanish) version of MM. It was only six months later that MAP Education Director Martin Keeley and Elaine Corets (then South American co-ordinator for MAP) rejoined Clemente and Renato together with several teachers and scientists in Cariacica, southeast Brazil, and started work on adapting and translating MM into Portuguese for use in Brazilian schools. Two years later in summer 2008 the first training in the use of the MM took place and involved 55 teachers from the city of Cariacica, in the Espirito Santo State school system. The workshop was a part of a planned activity between the Projeto Povos e Mangues (Peoples and Mangroves Project) of the Municipal Secretary of Education (SEME) and the Secretary of Environment (SEMMAM). 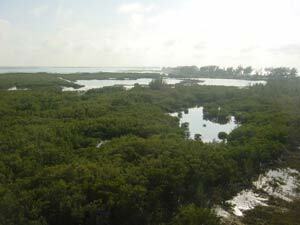 It was run by staff from the Instituto BiomaBrasil – Management and Conservation of Coastal Tropical Wetlands (IBB). This workshop was shortly followed by a multi-state national workshop in Brasilia. Since that time the numbers of schools, teachers and students who have been exposed to MM in Brazil is impressive. 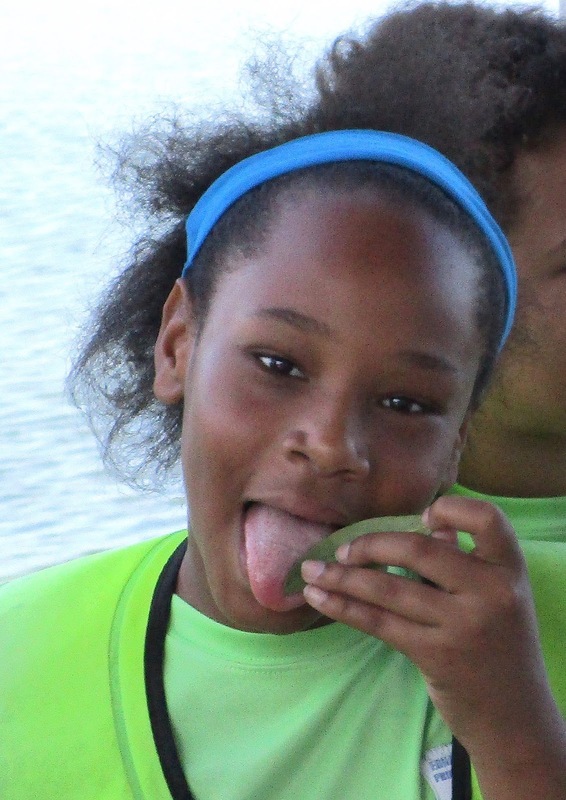 Clemente reports that well over 100 schools, 400 plus teachers and more than 12,000 students in five states have learned the wonders of mangroves through the MM program. MM, he adds, has proven to be an invaluable tool for supporting teaching methods as a whole, especially in the context of deficient teacher training (25% of all Brazilian teachers have no access to further education). Clemente adds that both the experiments and field activities found in MM are extremely powerful and open the minds of both students and teachers. “The program does, without doubt, change students' atitudes towards mangrove ecosystems,” he says. (Left photo) The first MM Brazil workshop held in Cariacica in 2006. MAP’s education director Martin Keeley top far right. 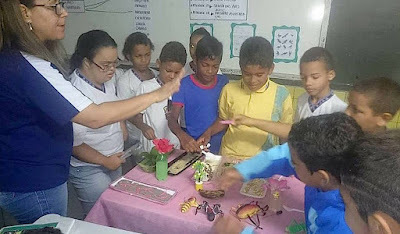 (Right photo) Students at Atividade a Rede da Vida with the Birds and Beaks activity. 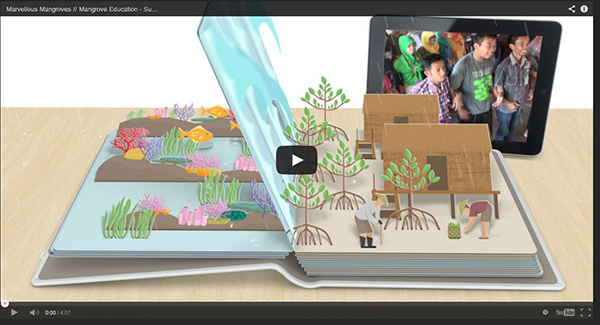 * Cariacica: Following the teachers’ initial 2-year program, the municipality supported the production of an animated movie involving the schools which had the Marvellous Mangroves experience. *Maragojipe (BA): Dozens of schools have held demonstrations to draw public attention to the conservation of mangrove ecosystems. 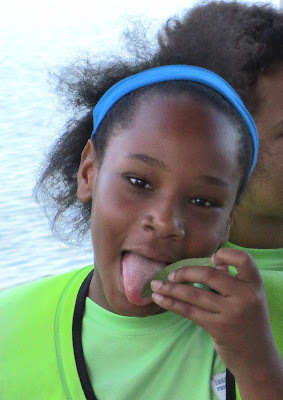 *Cananéia (SP): The experience with MM has led schools to produce and edit a poetry book on the theme of mangroves. 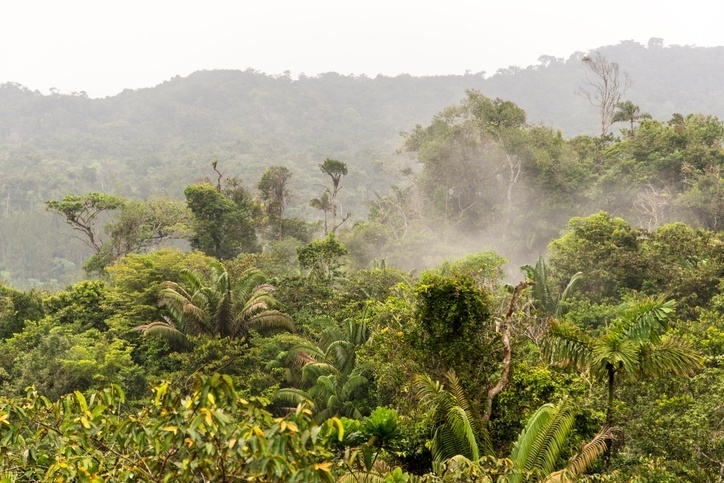 *Tamandaré (PE): Following classroom activities, the Costa dos Corais protected area has been used as an outdoor laboratory with data collected provided to São Paulo University. 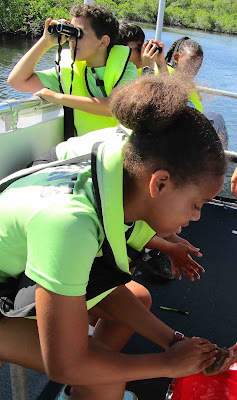 *Porto de Pedras (AL): Following classroom activities, additional field trips were also taken to take part in sea-cow releases in conjunction with the Centro de Mamíferos Aquáticos, Instituto Chico Mendes (CMA/ICMBio) - the federal agency for the protection of biodiversity. *São Miguel (AL): Classroom activities focussed on mangrove ecosystems plus littering. The teachers used social media to promote their work, calling the community’s attention to this issue. 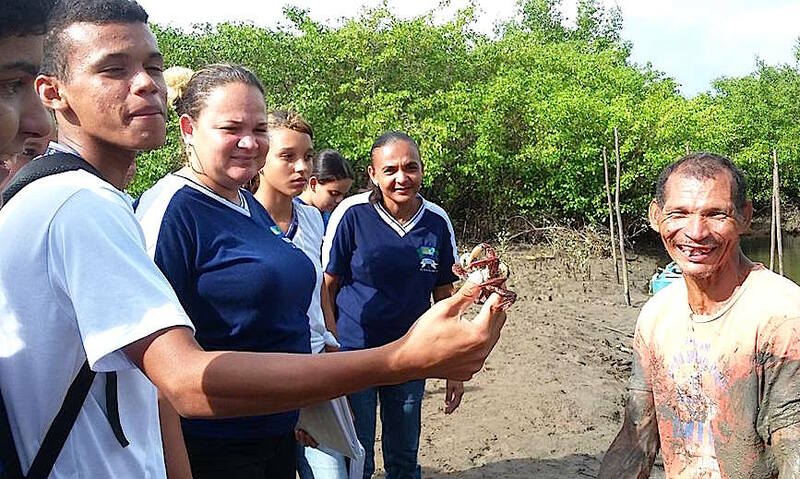 The same teachers organized beach clean-ups in the municipality’s mangroves, as well as taking part in sea-cow releases, accompanied by an IBB monitor. *São José da Coroa Grande (PE): The MM was introduced by the municipal education authority to all schools where it continues to be taught. All teachers who have participated in MM are part of a closed group on Facebook - Os Maravilhosos Manguezais do Brasil - where they exchange experiences in different municipalities. 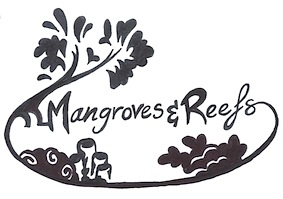 Marvellous Mangroves has enabled IBB to become recognised by the Ministry of Environment as an institution dedicated to the conservation of mangroves and the implementation of extensive educational initiatives involving marine protected areas. Many university students actively support IBB initiatives as a practical part of their studies. MM has made a long-lasting impact on regional and municipal authorties, says Clemente. For example, the Mayor of Victoria, in his re-election campaign, paid for MM workshops in every school. 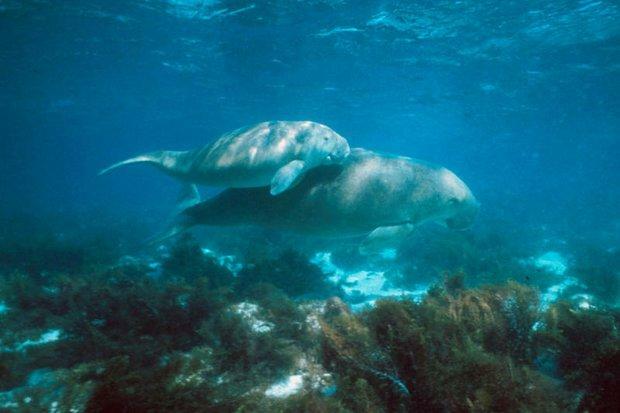 The the municipalities of Cariacica and Fundão consistently provide ongoing private and public support with teacher participation in the managment of marine protected areas. In another municipality, teachers participate on the management board of the Costa dos Corais protected área in Pernambuco province, as well as organising protection and awareness activities, community-based recycling projects, and continually promoting debates in the social media. All-in-all MM is here to stay in Brazil’s schools. (Left) Teachers field trip: Interview with the fishermen of the Várzea do Una community gathering information about which type of fish is most hunted by local fishermen. 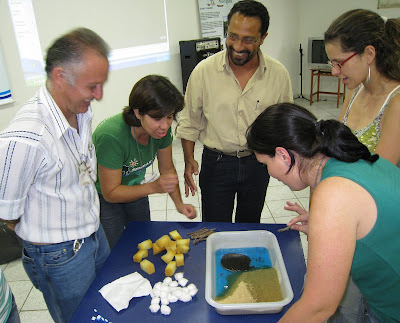 (Right) teachers from conducting the oil spill activity from MM during a workshop in Vitoria, Espirito Santo Province. Year 5 from Edna Moyle Elementary school, Grand Cayman, pilot the new Marvellous Mangroves interactive website. 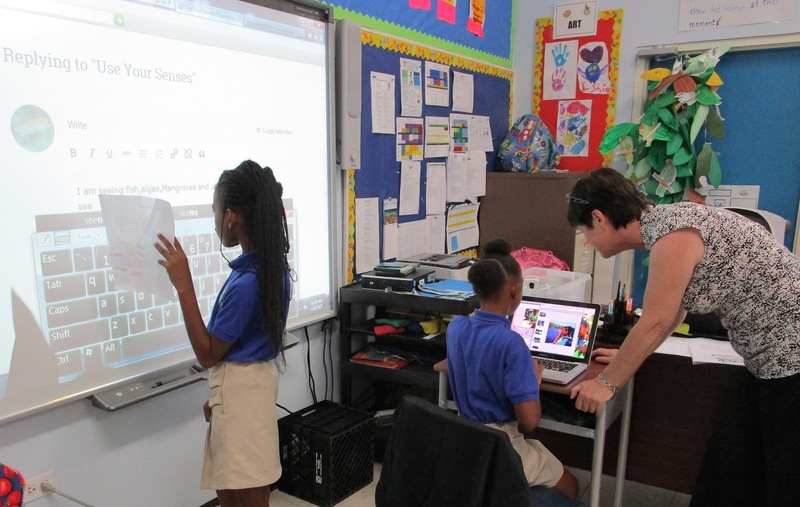 Bird spotting in the Central Mangroves (left); Teacher Janice Brown monitors computer access to the new site, while another student inputs to the site on the smart board her field trip experiences. 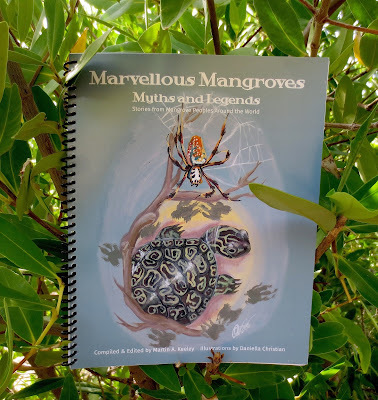 The site is an extension of the Marvellous Mangroves education program which was first introduced into Cayman’s schools in 2001 and has, since then, been taught to every Year 5 at every school class where it is part of the science/social studies curriculum. 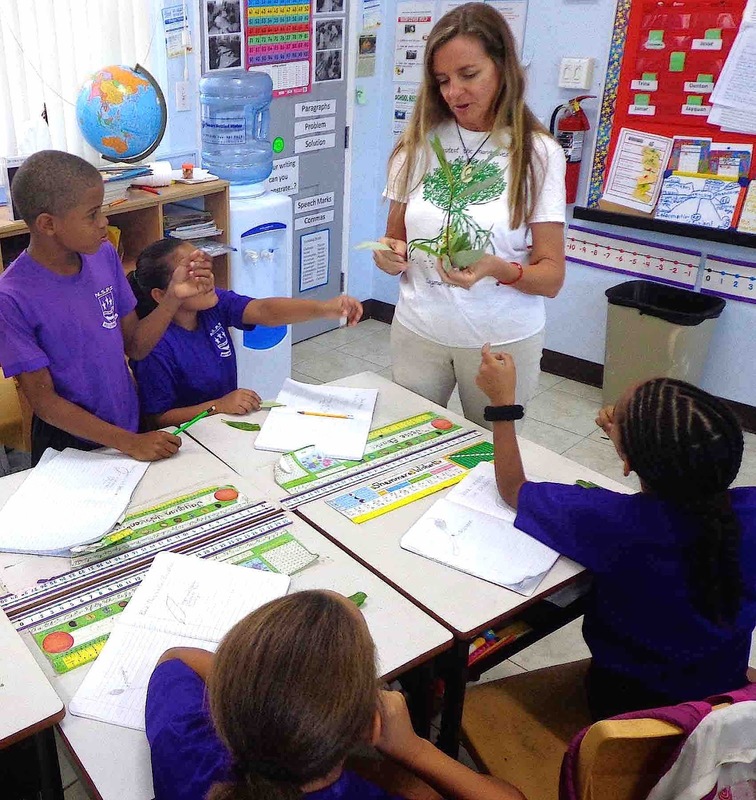 It is currently being taught by Catherine Childs, Education Director of the Cayman Islands National Trust, and is sponsored by Caribbean Utilities. Since its introduction it has been translated and adapted for use in 13 countries worldwide. From the field trip to the new website. 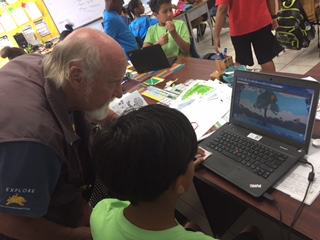 Students taste testing salt on a black mangrove leaf (left) and checking up on an upside down jellyfish (right) while MAP education director Martin Keeley supervises inputting data on the new MM website. Left: Cayman Islands National Trust’s Education Director Catherine Childs working with Year 5 Edna Moyle Primary School in Grand Cayman with the mangrove species activity. Right: The “Explore” page on the new MM website created by MAP’s IT specialist, Leo Thom. Mangroves run by Sea Elements and a final classroom follow-up when students wrote and drew their impressions and entered them on the classroom’s smart board. 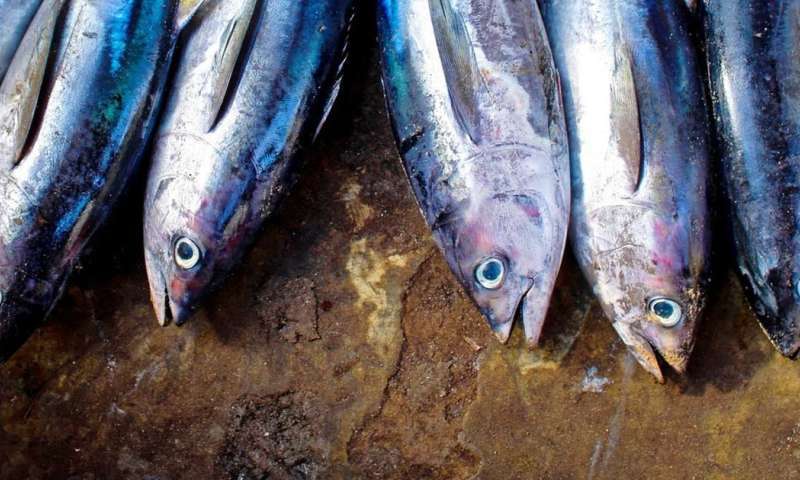 “Recording on the website took a little getting used to,” says Ms. Brown, “But once they did, the students were able to transfer their findings from their notebooks to the site. The Marvellous Mangroves programme – whether it’s the actual hands-on exploration or the new website recording - facilitates the use of different learning skills in a way that is very valuable,” she adds. 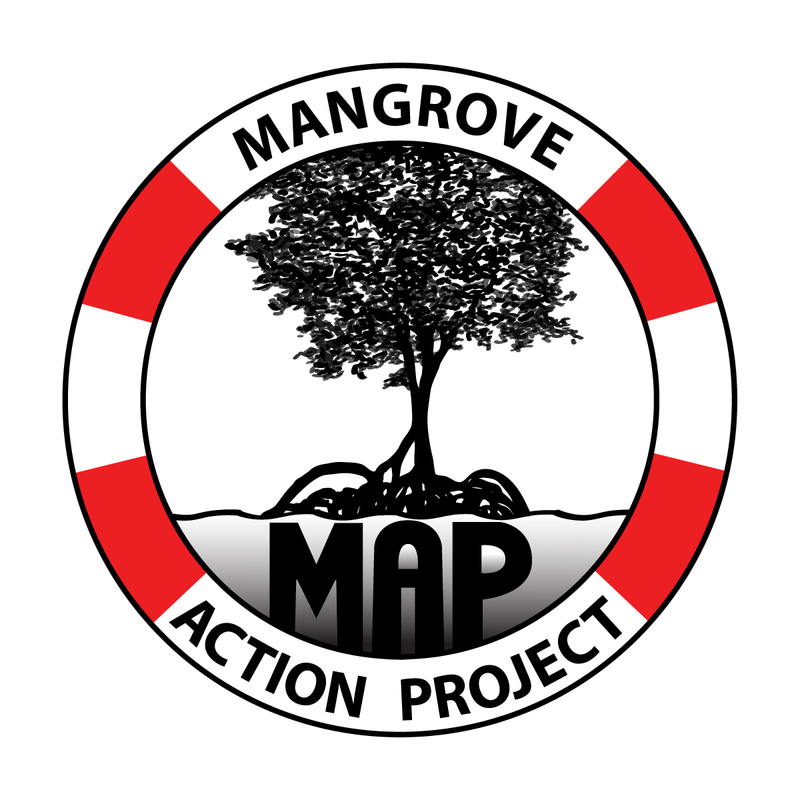 Using the marvellousmangrove.org site is simple. Students and teachers need to register on-line. Once they have done this and approved by the site moderator, they can then input their observations and findings – not to mention photographs and data of all kinds. 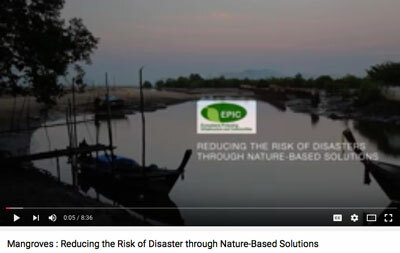 These must also be approved by the moderator – another environmental educator, Ms. Marnie Laing, who will then post the information on the site. Ms. Laing was a previous National Trust Education Director who taught the program for several years before Ms. Childs took over, so she is very familiar with the world of mangroves. “We live in a world where the internet and social media are dominating factors,” says Mr. Keeley. 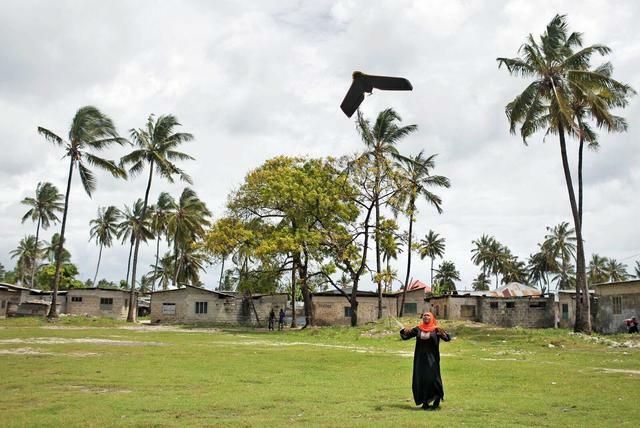 “But what we tend to forget is that many students and teachers in other mangrove countries don’t even have science labs – often not even reliable electricity. Marvellous Mangroves bridges that gap by providing hands-on science activities. 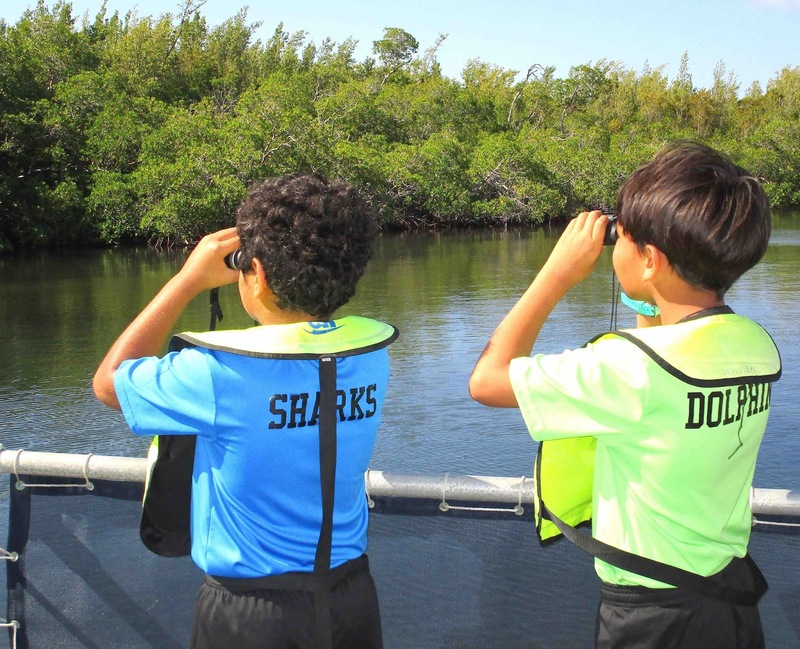 We also give many schools studying mangroves light source microscopes and magnifying lenses to help them set up Mangrove Cubs. These, in turn, provide the core for science labs to be established.